This is two sheets of paper each measuring 8 1/2" x 13", attached in the upper left by some sort of glue or paste. They are cream in color. The paper feels like 20# stock. Each sheet has a watermark: BERKSHIRE SOUVENIR BOND USA. Everything on these pages is typed except the note "Retained" in the upper left. I don't know if that refers to this typed copy being kept, but that's the only idea I can come up with. 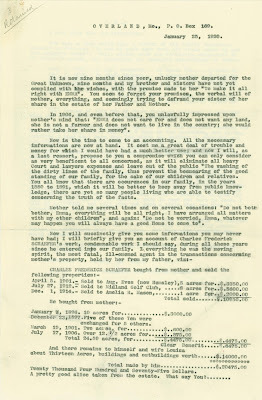 While this letter purports to have been written by Emma (Schafer) La Forêt, as has happened often with documents I have posted, the writing style here seems to me very French, and I suspect the wording came from Jean La Forêt, even if Emma may have physically penned the original letter that was sent to her sisters and brother (which I don't have, unfortunately). The word "informations" always makes me think of French. The letter is pretty harsh in tenor. 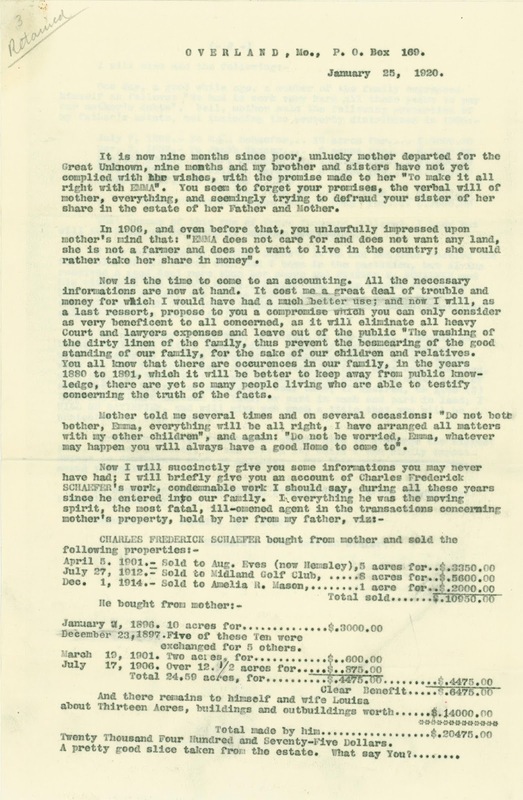 The accusations of Emma's brother-in-law Charles Schaefer are direct and blunt, more so in some ways than in a previous document detailing his purchases and failings. I am surprised, however, that Emma's sisters and brothers pretty much get a pass on culpability. In particular, the characterization of Louisa as blameless and totally under the control of her husband seems odd to me in this context. 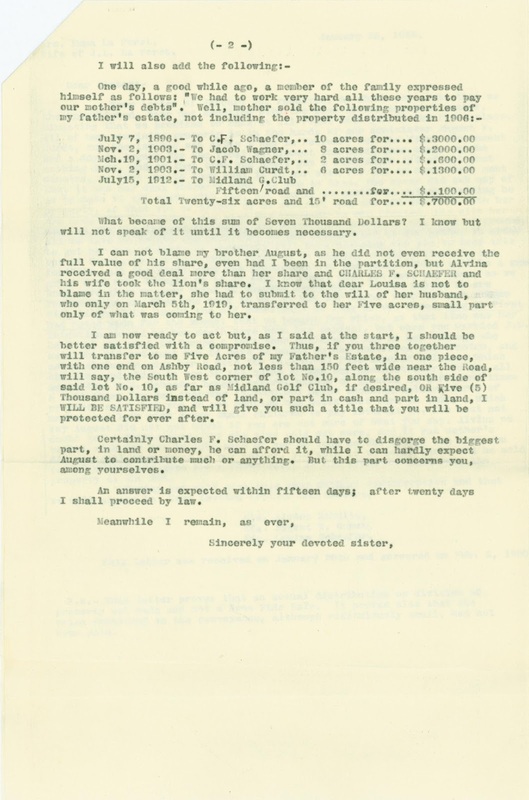 Blame notwithstanding, the primary purpose of this letter was to convince August, Alvina, and Louisa to cough up some of what they had gained from their mother — illicitly or otherwise — and share it with Emma. I have felt sympathy for Emma's position in her family's machinations based on earlier documents, but this letter comes across to me more as whining than as a convincing indictment. I think that's partly because of the melodramatic tone and partly the taunting withholding of information: "occurrences in our family . . . it will be better to keep away from public knowledge", "I know but will not speak of it until it becomes unnecessary." Maybe the tone was the way average people expressed themselves in this period, but the taunting just hits me wrong. 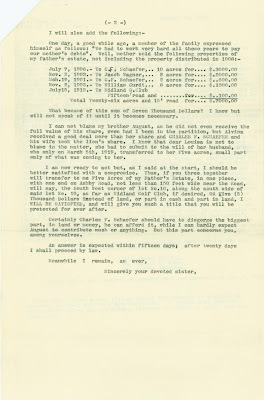 From the first documents I posted about Emma and her life story, we've known that she and her husband did not pursue a court case against her siblings. I suspect that's also coloring my opinion of this letter, which I realize isn't fair. When the letter was written in 1920, Jean and Emma probably were still considering filing a lawsuit. They must have believed this letter was the best approach. 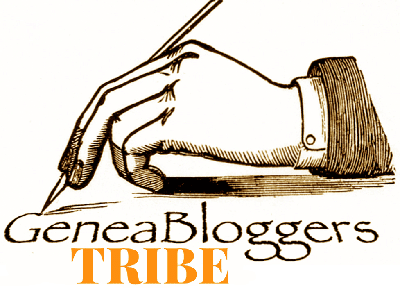 Treasure Chest Thursday: Fraudulent Conveyance!